Open to the public, this speaker series explores a range of parent education topics and philosophies. It is designed to provide opportunities for parents, educators and the community at large to practice life-long learning, whether about Montessori and other educational philosophies and programs, or about parenting in general. Thanks to the outpouring of generosity from donors, the Omran-Nelson Speaker Series has been established in memory of our friends and former teachers, Sue Omran and Brien Nelson. With financial support from this fund, we intend to bring outstanding thought leaders to the South Shore, who—in the tradition of Maria Montessori—challenge, inspire, and guide us to become the best educators and parents we can be. 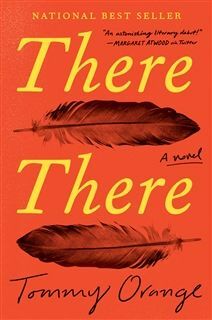 Tommy Orange, author of the New York Times bestselling novel There There, a multi-generational, relentlessly paced story about a side of America few of us have ever seen: the lives of urban Native Americans. There There, Orange's debut novel is on the longlist for the 2018 National Book Award. Open to the public, the event will begin with a reading, by Tommy. There There tackles issues of identity and belonging for Native people living in urban environments and battles against the monolithic stereotype often applied to Native people and their culture. The reading will be followed by a conversational-style interview, hosted by Boston Globe Correspondent, author and carpenter, Nina MacLaughlin, and will explore issues of Native struggles, the Native renaissance, what it means to be Native today and Tommy’s own experiences growing up Native in a big city. Nina MacLaughlin works as a writer and a carpenter and lives in Cambridge, Massachusetts. She's a columnist for the Boston Globe and her first book, “Hammer Head: The Making of a Carpenter” was published in 2015. 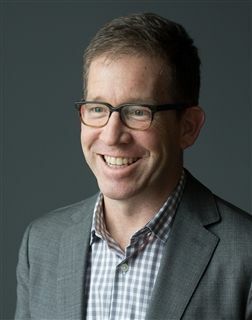 MacLaughlin'swork has also appeared in the Paris Review, Boston Magazine, the LA Review of Books, the Wall Street Journal, New York Magazine, the Huffington Post, and elsewhere. Clicke here to purchase tickets. 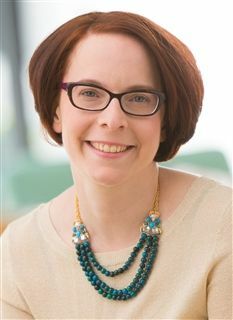 Dr. Heitner is the authority that parents turn to for empowering, research-based advice on raising resilient and kind kids in our always-connected, increasingly challenging world. 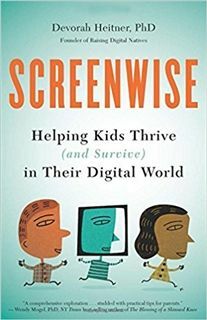 Her talks take on common issues ranging from repairing digital mistakes and increasing empathy in our digital interactions to understanding changing conceptions of personal privacy and creating a culture of responsible, digital citizenship. Sara Mardini, whose story of bravery and resilience astonished the world, spoke at Inly about her flight from Syria, her heroic and life-saving act of courage, and her on-going work to advocate for refugee and women’s rights. Sara, a top-tier, competitive swimmer from a young age, now lives and works in Greece and is currently a volunteer lifeguard for Emergency Response Centre International (ERCI), a Greek nonprofit organization that provides emergency response and humanitarian aid in times of crisis. In 2016, Sara was a speaker and ambassador for the first-ever Refugee team at the Rio Olympics and also spoke at the first-ever United Nations Summit for Refugees and Migrants. She has given talks around the world and is the focus of an in-production documentary titled “She is Syria”. Read Sara’s incredible story here. David Rose is an award-winning entrepreneur, author, and instructor at the MIT Media Lab. Rose's research focuses on making the physical environment an interface to digital information. David is the CEO at Ditto Labs, an image-recognition software platform which scours social media photos to find brands and products. 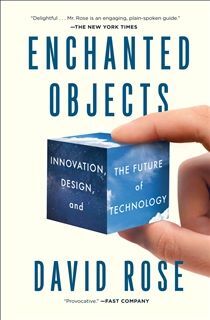 His book, Enchanted Objects, focuses on the future of the internet of things, and how these technologies will impact the ways we live and work. Learn more about David Rose here. 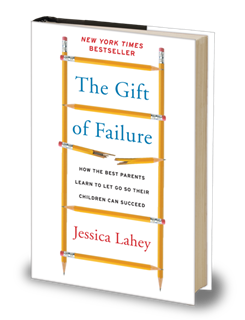 New York Times columnist and best-selling author Jessica Lahey visited Inly School on April 6, 2016 to speak and sign copies of her book The Gift of Failure: How the Best Parents Learn to Let Go So Their Children Can Succeed. 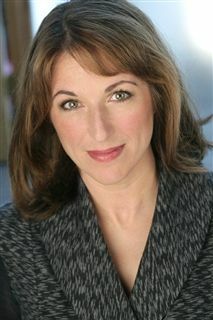 Sue Omran, a beloved teacher, friend, wife and mother of three young children, passed away in 2011. Her husband Mohamad wanted to establish a speaker series as a legacy to share her two overarching passions—parenting and education—with the community. Sue taught in the Toddler House and Discovery programs at Inly and was well known for her intellectual curiosity and her passion for Montessori education. She loved music, had a gift for languages (she spoke six), and was a true global citizen. As a Montessori teacher dedicated to life-long learning, she continues to inspire us all. A beloved member of the Inly Family for 14 years, Brien Nelson passed away in 2007. Brien was a lower elementary teacher for seven years, and then served as Inly's first technology director. His son, Spencer, attended Inly from toddler through middle school and his wife Michele continues to be a strong supporter and volunteer. In addition to his great intelligence and wit, Brien’s fervent dedication to Montessori education has been an inspiration to us all. We are pleased to honor Brien with the naming of this speaker series in his memory. Make an online donation to allow the Omran-Nelson Speaker Series to grow and continue over time. Thank you for supporting this effort to bring important speakers to the South Shore community.